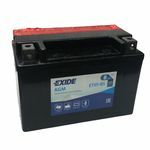 We carry a huge selection of motorcycle batteries, all for sale at competitive prices. 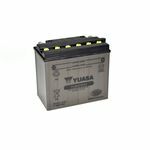 Whether you are looking for a compact 6-volt battery suitable for a classic bike or a high performance 12-volt lithium starter battery for a powerful, modern machine, we can help. 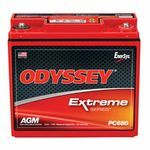 We offer free delivery to all mainland UK addresses for orders over £20 and a premium next-day delivery service for a small additional fee. 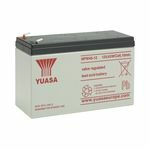 In short, wherever you live and whatever you want, you can rely on County Battery Services to meet your requirements. 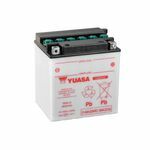 We aim to ensure that whatever type of motorcycle battery you need, we have it in stock. 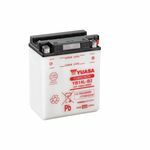 Furthermore, because we only deal with leading brand names such as Yuasa, Odyssey and Landport, you can rest assured that your new battery will be reliable, safe, and, most importantly, capable of providing the power you need, when you need it. 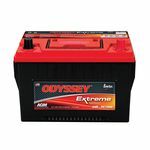 If you want to make sure that your bike starts first time, every time, a high quality battery that is designed with your machine's performance characteristics in mind is essential. 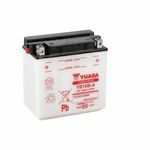 At County Battery Services, we have the perfect solution to your needs, whatever make or model of motorbike or moped you happen to ride. 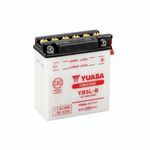 If you already know what you need, you can simply find the battery in question, add it to your basket in our online store, and head to the secure checkout area to place your order and pay for it. On the other hand, if you are not entirely sure what the best choice for your bike is, please feel free to call 01623 757377 during business hours and speak to one of our experts. We are more than happy to help and with over 40 years of experience in the business, we have a wealth of knowledge to draw. 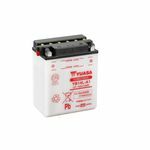 With our focus on providing first-class customer service at all times, you can be sure that any advice we give you will be accurate and useful. 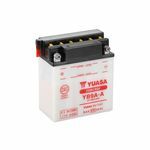 Our online store has been designed to make it as simple as possible for you to find and order the products you need. 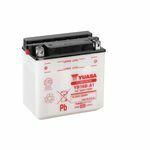 All of the motorcycle batteries for sale can be ordered and paid for online, and delivered to your home or business address within a few short days. 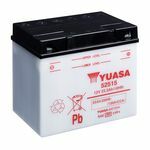 As mentioned above, if you need your new battery sooner than this, we offer a competitively priced next day delivery service to mainland UK addresses. Simply choose this option when you are checking out and it will be automatically added to your order. As a company that was established in 1974, we will always be here to help if you should need our assistance in the future. 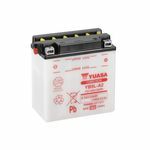 You can purchase any motorcycle battery for sale on our site with complete confidence, as we stand behind all of the products that we sell.